I know some of my Igbo brothers and sisters are not happy with me simply because I have not used My Brand as CharlyBoy to advocate for the clamor of The Biafran state. However, like I always say, there is more than one way to achieve a purpose. Though I may disagree with my Igbo brothers and sisters on the choice of rhetorics and methodology, our objectives are to a large extent identical because we all want to bring an end to the marginalisation of the common peoples, by the evil cabals who are holding Nigeria to a ransom and getting away with their obnoxious impunity and criminality. Those who truly know and have followed me know that I am not a Group soul and I have always dared to follow the path least traveled in the continuous struggle to add value to my environment. It is indeed laughable that despite being a native chicken, Nwa afo, son of Biafran soil with a full-blown Igbotic blood, I have been persistently labeled a wannabe Yoruba, Hausa, Tiv and an Ijaw man simply because I have consistently maintained that I believe in the unity of Nigeria. To start with, I go like tell una sey you may not be totally wrong if you call me the man from all tribes in Nigeria. This is because I believe in the oneness of all Nigerian peoples. I believe that we have gotten to a point in our national history where a Yoruba man cannot live in isolation of an Igbo man. Likewise, an Ijaw man cannot live in isolation of a Hausa/Fulani man. All tribes in Nigeria today have become a mat of interwoven fibers that cannot be segregated. There have so far been intertribal marriages, intertribal business ownership, and intertribal partnership; and countless other intertribal collaborations and relationships in Nigeria. For this reason, my question to those agitating for secession would be that if each tribe decide to secede from Nigeria today, what then would happen? Who would lead the new nations? Will the people be happy? Will injustice be defeated in the new societies? Will criminality end in leadership positions? Will there be happiness in the new nations? Will the people finally have a country to call their own? – These are important questions we must ask ourselves and provide answers to before we even start to beat the drums of secession. Having said that, I must state that whereas I am a Biafran at heart, what should engage our minds is not a sectional Biafra but a national Biafra. The fight for nationalists who will drive the discourse and the engagement necessary in answering the Nigeria National Questions must not be bogged down by petty sentiments, tribal colorations, and religious propaganda. The failure of the Igbo nation and all Nigerian tribes and peoples is the fault of influence peddlers and directionless decision makers. The crux of the Biafran agitation is that my people are tired of a system that has perpetually failed them. My Igbo kinsmen are tired of a system that enriches the rich and impoverishes the poor. My people are tired of a system that glorifies impunity and criminality. My people are tired of decades of oppression and marginalization. However, the deeply rooted disgruntlement in Biafra land is not peculiar to my Igbo brothers and sisters alone; all the common peoples in the 500 tribes in Nigeria are victims of a failed system and persistent oppression. And this is essentially where I disagree with my brother Nnamdi Kanu that though Biafra is right, it should be a national cause and not a sectional one. 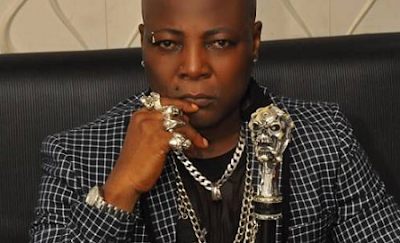 Let me be clear: The Brand CharlyBoy is not only a Global brand but also a national brand that should not be reduced to a sectional brand. The problem in this nation is not the lack of a space where we all can coexist but the lack of men of integrity and progressive nationalists. We lack the right kind of leadership that will fight for the interest of the common people. And if at all there would be an agitation, it should be geared towards sanitizing the currently bastardized Nigerian system. Our agitation for Biafra should be about having the right leaders in positions of power and not power drunken people with an insatiable appetite to plunder and loot. Therefore, my people, I insist that the suffering of the People from the South East is also the suffering of the people from the other geopolitical zones in Nigeria. And the oppression of the Igbo people is also the oppression of all Nigerian peoples. An injury to one is an injury to all. A Biafra state is not going to change the players of the game, it will only exacerbate the sufferings of the victims of the game. In conclusion, my people, let us dutifully work ourselves back into reckoning by fighting for Fairness, Justice, and Equality for all Nigerians; Not Ibos Only; Yorubas Only or Hausas Only but all Nigerians. President of All Frustrated Nigerians.